Franciscan started production of Desert Rose in late 1941. 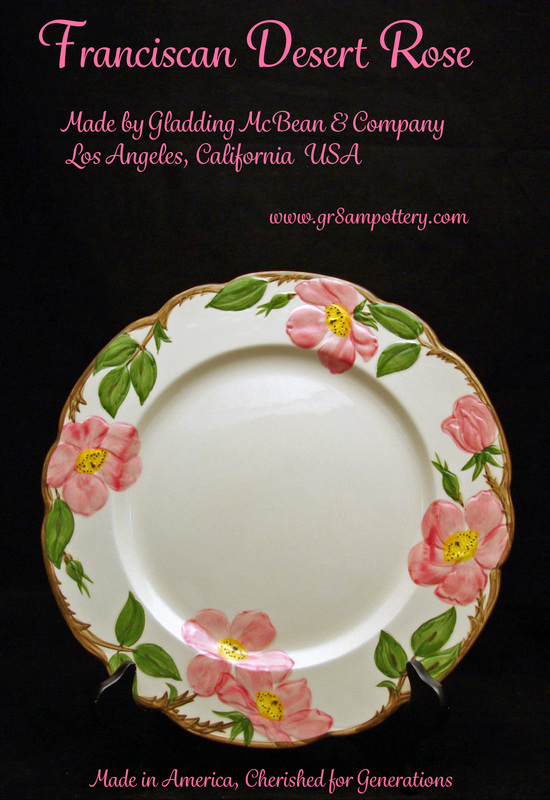 Desert Rose is the best selling dinnerware pattern in the USA. 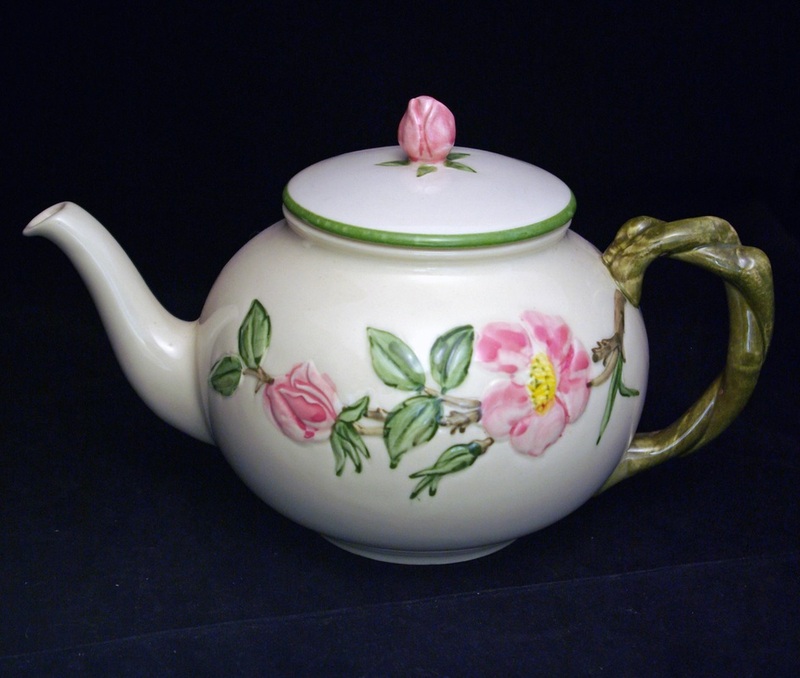 Hand painted with pink roses, green leaves, & olive green stems that gracefully trim the edge. Even though the rose is thought of being from the Midwest, the dishes were named Desert Rose so people would connect it to California & Franciscan Ware. The pattern was modeled after the Rosa Rugosa. The rugged & wild Rose Rugosa was a natural design selection. The bloom, with its simple delicate petals, made it adaptable to hand painting. While this rose is primarily native to the Midwest and northern sections of the United States, the pattern was named Desert Rose to give it a "California" inference. In the 1940s, products labeled "Made in California" were in demand. This beautiful pattern is still one of America's favorite casual tableware patterns. In 1964 the sixty millionth piece had been produced, & Desert Rose is now on display in the historical Smithsonian Museum. First Lady Jacqueline Kennedy chose Franciscan Desert Rose for use in the White House. In Desert Rose, the irregularly scalloped edge of thorny vines creates a believable frame for the fully opened pink roses with their golden centers and soft green leaves. The softness of the design is further enhanced by its cream colored background. 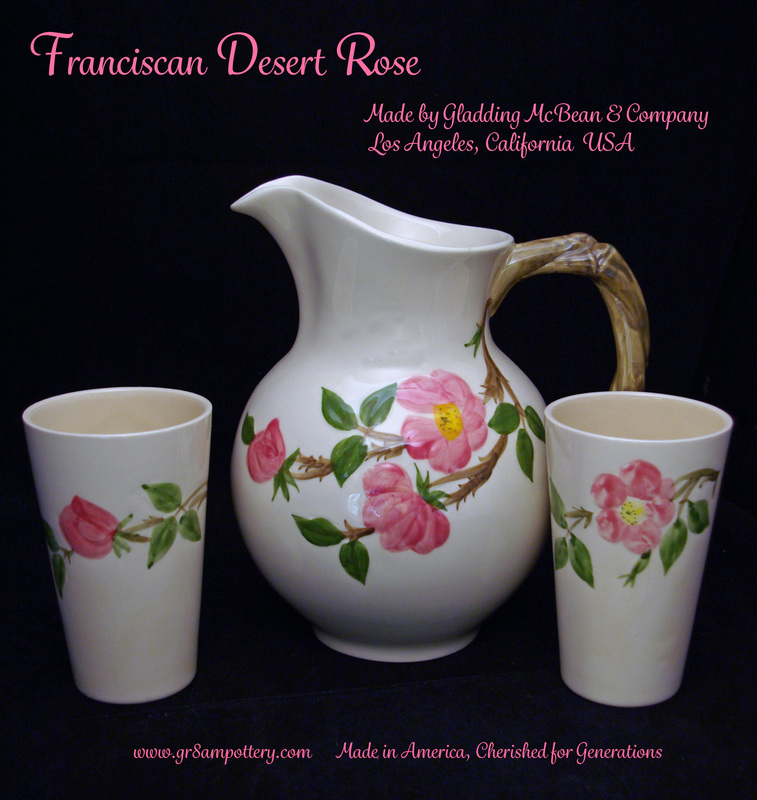 After experiencing decades of popularity, Franciscan Ware Desert Rose was discontinued in 2013. Annette Honeywell, a freelance artist who sold several concept designs to Gladding-McBean, is credited with developing the Desert Rose pattern concept. Mary Jane Winans, a designer for Gladding McBean & Company, was responsible for the production design work.